The Swipe Ultimate tablet uses an Intel Quad Core Processor to handle multiple applications simultaneously. This allows you to play games, manage your work while chatting, all at the same time. 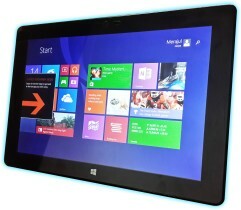 It boasts a 10.1" IPS Display which produces a pixel resolution of 1280 x 800. This incredible tablet from Swipe telecom uses a 1.83 GHz Quad Core processor, capable of taking on multiple processes at the same time. It is supported by 2 GB of RAM and 32 GB of ROM which allows you to multitask easily. The Ultimate tablet comes with an HD 10.1 inch IPS display that allows you to watch your favorite movies or play your favorite games in clear, high definition. The display has a pixel resolution of 1280 x 800 which allows for a better viewing angle, thanks to its large screen. 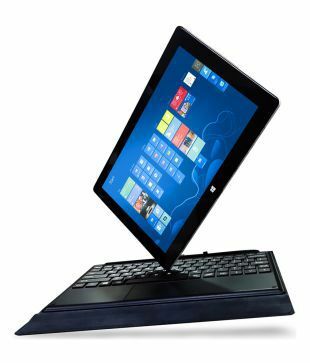 The Swipe Ultimate tablet uses one of the most popular operating system's in the world, Windows 8.1. 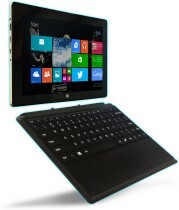 With an easy to use interface, navigating the ultimate tablet will be a walk in the park. This tablet has a 5 mega pixel primary camera which can take clear photos and has video recording. It also has a 2 mega pixel secondary camera which allows you to video conference with your friends and family. With the Swipe Ultimate tablet, you will never need to worry about battery life as it packs in an 8000 mAh battery which gives you hours of usage. 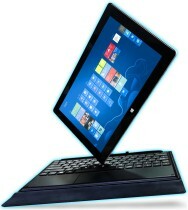 Connect to wireless internet networks as the Swipe Ultimate tab is Wi-Fi enabled. It does not, however, support 3G networks but it does have a dongle support.